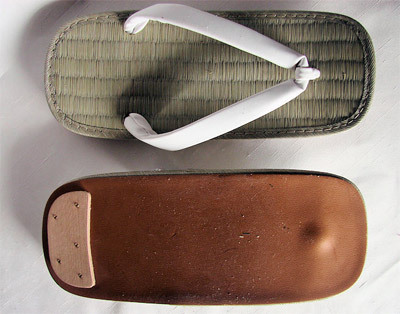 These handmade setta sandals are of the best Kyoto quality. 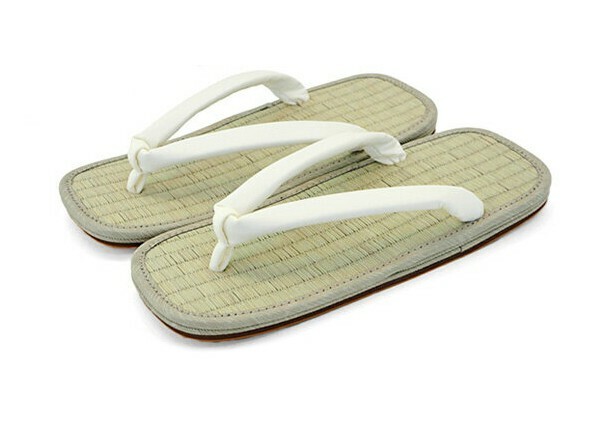 Made of tatami-style woven straw in two panels with white imitation leather thongs and soles. 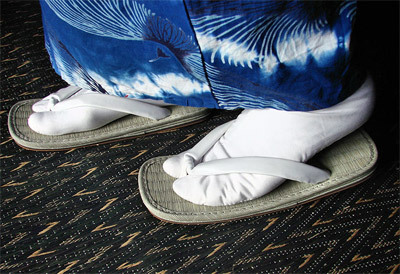 They come in five sizes that fit a range of shoe sizes.